It’s just a few weeks before school starts and your kids are still in shorts and tee shirts. The drawers in their rooms are overflowing with sizes ranging from too small to too big. And you have just returned from purchasing school clothes for this year. It’s clothes chaos! Follow these simple steps to get your kids clothes ready for back to school. Set a side a two hour time block to work in each child’s space. Sort through all the clothes and keep only what fits in the drawers or closet. Keep the other sizes in bins marked by size, gender, and season. These can be stored in the attic and stacked. Mark the bins well, on the top, side and front, so you know what is what. Most of the time just you do the sorting, not the kids, just to expedite the process. Use a bin no larger than 66 quart just so you can easily move it once it is filled with clothes. Some people prefer to use space bags to store clothes under the kids’ beds too. Remember to keep only what is in prime condition. Yucky or torn clothes should be donated as rags. Decide what access you want your kids to have to clothes. It’s easiest for them to dress themselves when they can easily reach what is acceptable school attire. Hang the party dresses, extra jackets or too short shorts in a less accessible spot. If you have just a long hang section in their closet, create a second hanging shelf with a double hang closet rod. Another great tool is the 6 shelf hanging system. It’s easy to see and access for everyone. If you use a dresser, be sure the drawers easily glide in and out for your kids to get in there easily. Place the clothes in the best spots and then label the shelf or drawer. It is so much easier for everyone with labeling! Dad, Mom, kids, and helpers all know where the laundry goes when it is ready to put away. Make laundry easy with a divided sorter. Slots can be darks, lights, towels or kids, adults, dry clean. Place the sorter where everyone can drop their clothes in easily. As the seasons change, take an hour to remove and store the clothes you are keeping for the next child. Grab a bin and keep your clothes storage system up to date. Have your kids lay their clothes out the night before. It eliminates one more thing to do in the morning. They can keep their jammies under their pillow and quickly get ready each day. 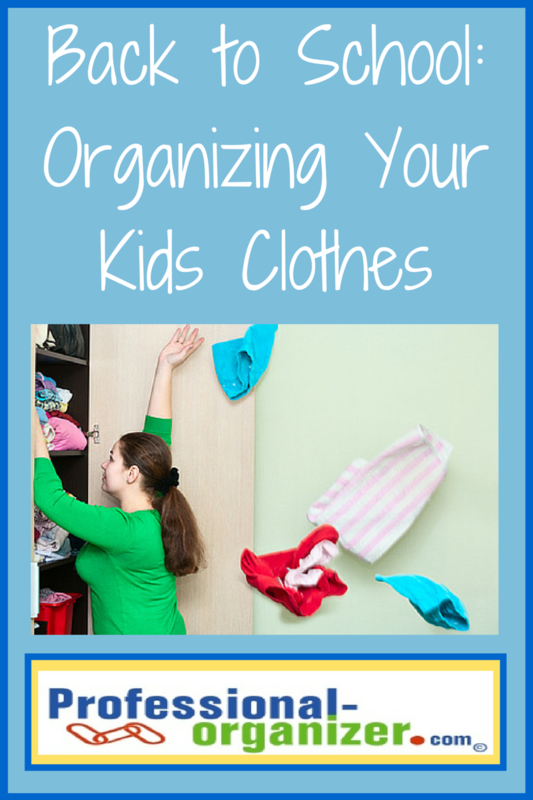 What ways do you make organizing your kids’ clothes easier? Back to school sales are everywhere at this time of year. 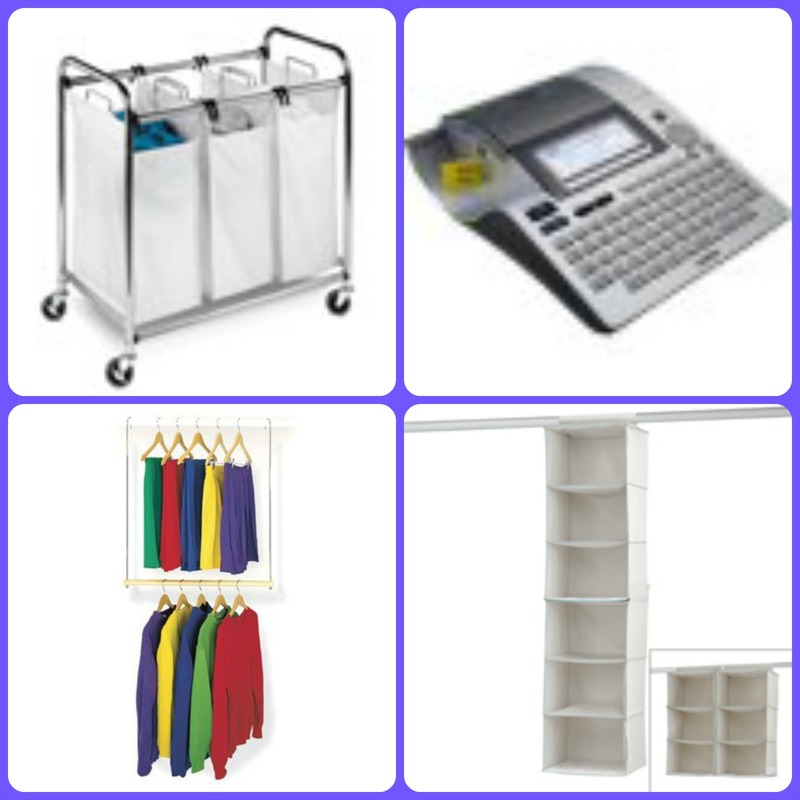 Most families have a large supply of items often spread out around the house. Organizing your supplies saves you money and time. Get started by corralling all your supplies. Supplies may be hiding in various spots, including your kids’ rooms, the office or the kitchen. Gather these together to assess what you have. You may have a glut of lined paper and not even know. Decide on a common location to house your supplies. The location should be easy access for your kids so they can check and see when they need something. Great spots to keep supplies are an office area, a secondary or storage off the kitchen. With a central location, you can also check throughout the year on what to purchase. 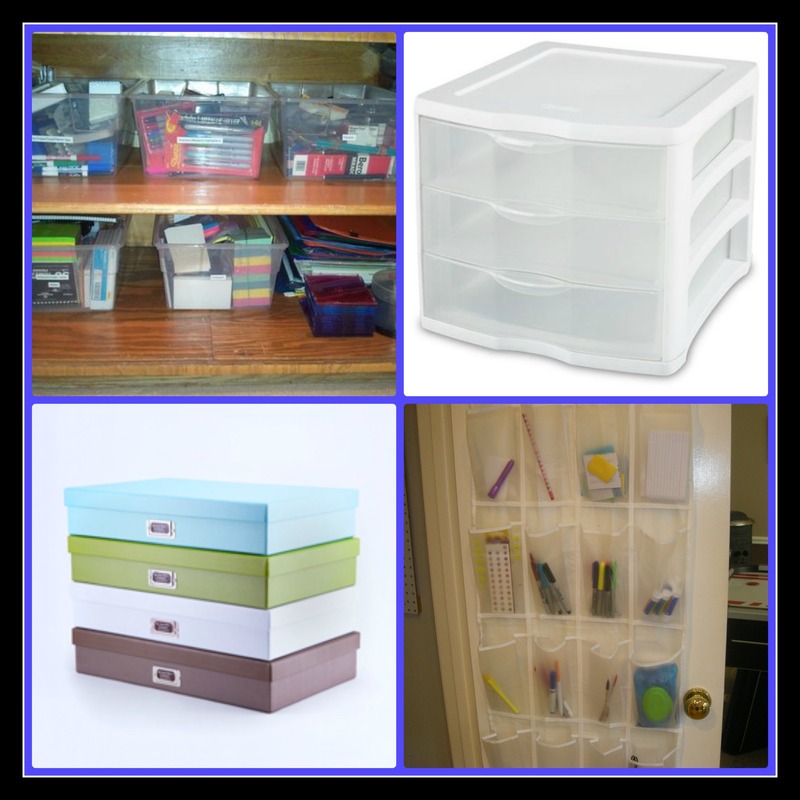 Your storage location dictates your organizing strategy and tools. 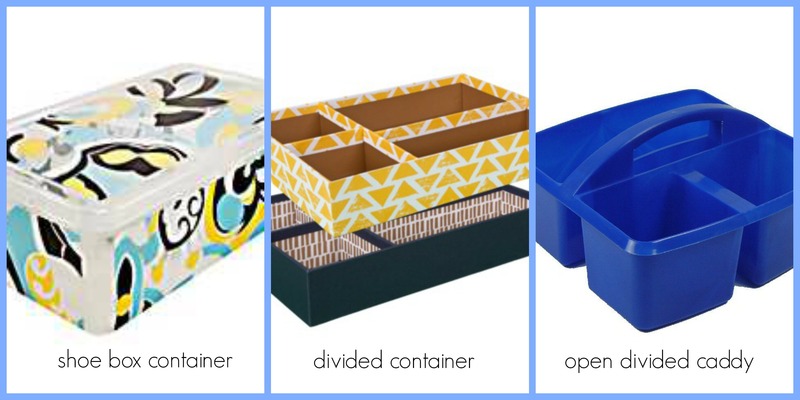 Some ideas depending on your space include a 3 drawer sterilite bin, stacked shoebox bins, cute stacking boxes or a back of the door shoe organizer. Stock your kids’ back packs too including tools in one part of their backpacks or a zipper case. Be sure to label each category so that everyone knows where to get and return the supplies. Routines make Back To School So Easy! Back to school so soon! 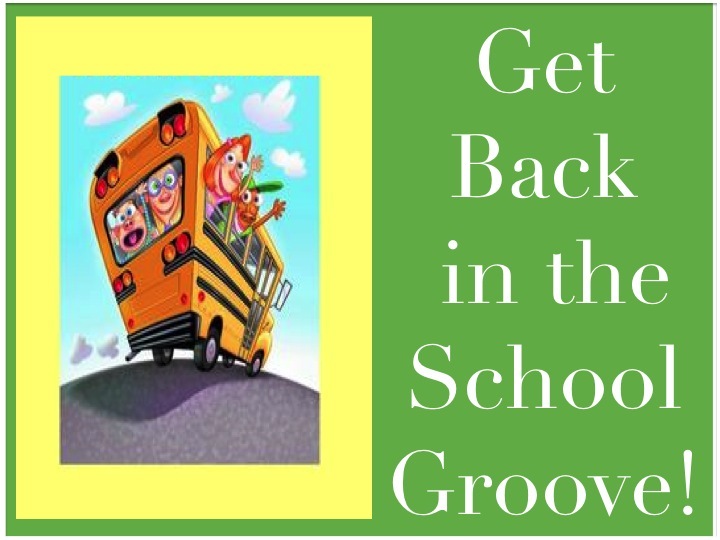 Get in the Back to School Groove with these simple routines. 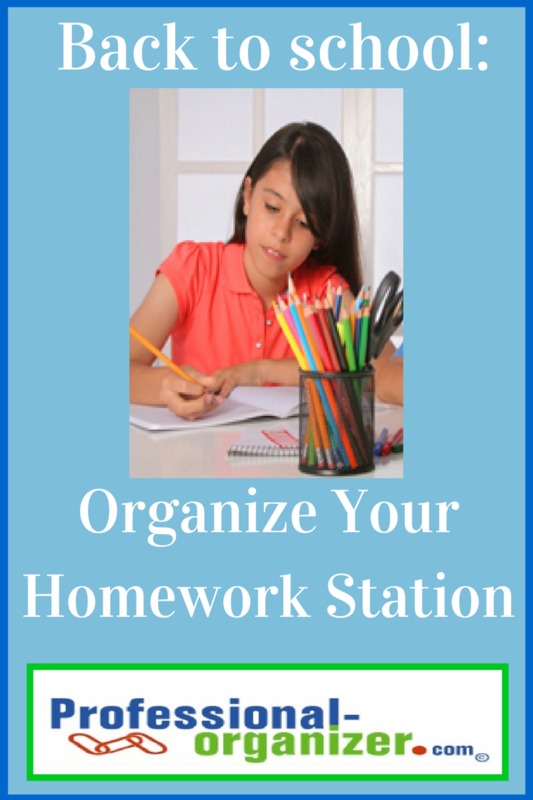 This article is featured on Organize to Revitalize. 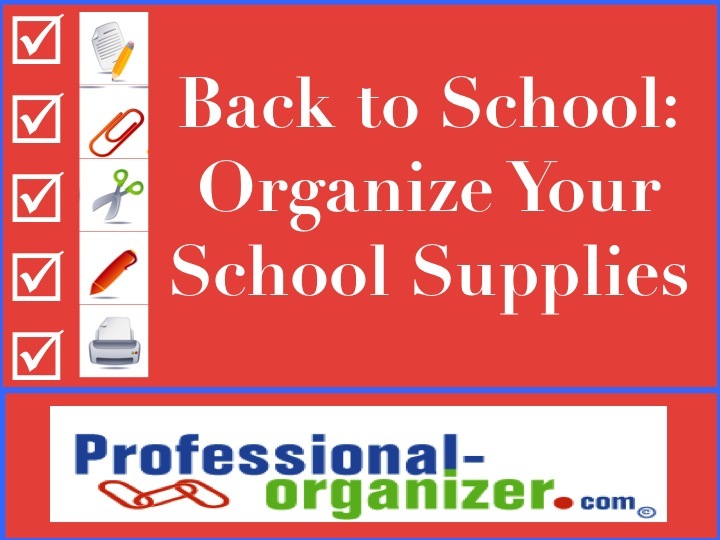 https://professional-organizer.com/WordPress/wp-content/uploads/2016/07/logo.png 0 0 Ellen https://professional-organizer.com/WordPress/wp-content/uploads/2016/07/logo.png Ellen2013-08-06 07:28:142015-07-22 22:37:18Routines make Back To School So Easy!